Cushman & Wakefield/The Lund Company is proud to recognize our brokerage division’s highest achievers in commercial real estate transactions for 2018. These agents are recognized for their hard work, perseverance and dedication. Timothy Mettenbrink, Senior Strategic Advisor was presented with the Company’s Producer of the Year award. Martin Patzner, Vice President Office Specialist was presented with the Company’s Agent of the Year award. Jason Fisher, James Hain, Matt Hasenjager, Scott Koethe, John Lund, Justin Riviera and Denny Sciscoe were also recognized as top producers. 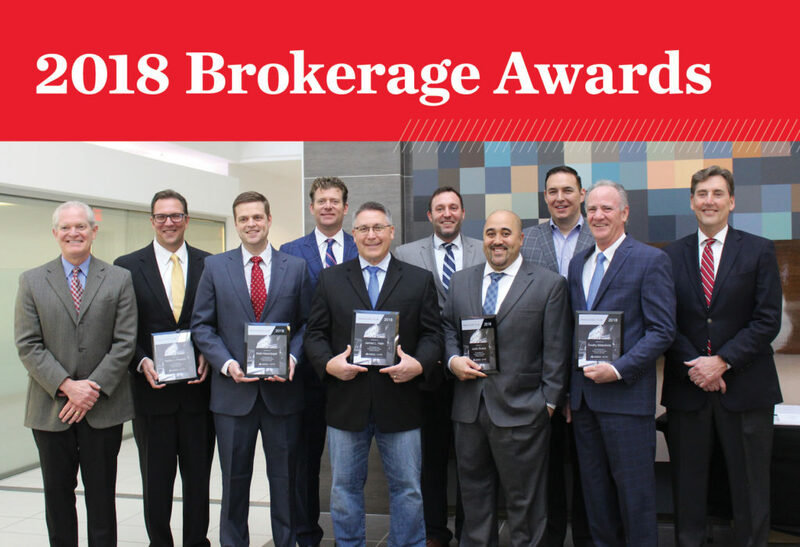 They are Cushman & Wakefield/The Lund Company’s highest achievers in commercial real estate transactions and are members of the Company’s 2018 Producers’ Club. Hunters of the Year Award was presented to Justin Riviera and Denny Sciscoe. Justin Riviera and Trey MacKnight were voted Team Players. Most Transactions Award was presented to Holly Jones. Deals of the Year awards were presented to Scott Koethe, James Hain, Denny Sciscoe, Matt Hasenjager, Connor Lund and Spencer Secor.